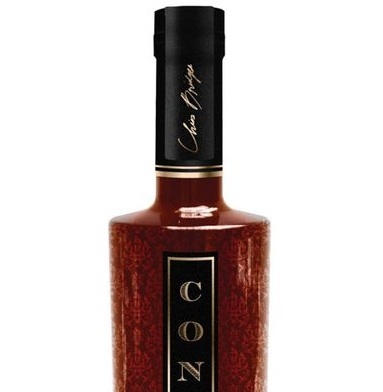 Since september 2009, the new brand sold 400 000 bottles of conjure cognac »”>Conjure Cognac. In 9 months the young company of famous rapper Ludacris and Birkedal-Hartmann tested the market and now they are finally going for ‘nationwide’. Today the Luda Yak is available in over 20 US states and until september 2010 the Cognac is supposed to be available in 45 US states! They are planning to sell 80 000 bottles per months, making 960 000 bottles per year: So they will hit the million by the end of 2010. If the US launch is a total success, Birkedal Hartmann will roll-out worldwide. The VS Cognac is already sold in 12 countries, in the UK available from June 2010 on. Besides England, Bahamas, Ontaria, Dallas and New Orleans will be the next stations for Ludacris launching the new product. Rapper Ludacris worked with Birkedal Hartmann, a Norwegian-owned Cognac house, to create Conjure Cognac. HipHop and Cognac have already established a tradition: it’s no secret that this fits well together. So since 2009 Ludacris has his “own” Cognac brand, which is a blend of Cognacs of the 122 years house Birkedal Hartmann. The rapper (aka Chris Bridges) was apparently part of the blending process – also involved in designing the bottle. 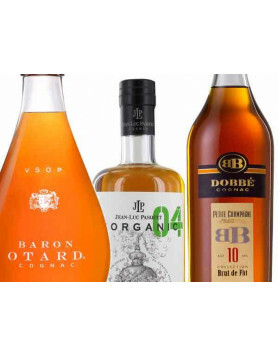 According to a study produced for Vinexpo, the demand for cognac will expand by 9.5 percent over the next three years, dominated by the export market. Birkedal Hartmann currently ships 400,000 bottles of cognac a year, mainly to Hartmann’s native Norway, Sweden, Poland, and England. The Conjure project signals Hartmann’s daring attempt to take a relatively small, high-end cognac house global. He’s prepared to ship as much Conjure cognac as the hipsters are prepared to buy at US$34.99 ($50.97) per bottle. “My wish is to reach one million cases,” said Hartmann. The Conjure Cognac is presented as gentle and soft Cognac, in the rapper’s words: “smooth enough for a woman”. But as this Cognac is more or less made for the American market, in other words for mixing the Cognac with Coke and other drinks, it is no wonder that the Cognac has a slight sharpness on the tongue. On the nose it’s quite fruity, green fruits. But no caramel or sweet vanilla… luckily. No wonder as well, because it’s a pretty young Cognac – sold as VS. There is definitely some young eaux-de-vie in this product. 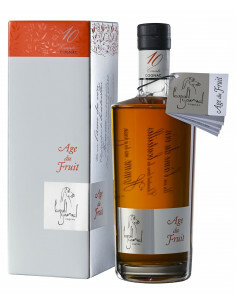 Still, this VS is made from a blend of Cognacs, which aged from two to fifty years. 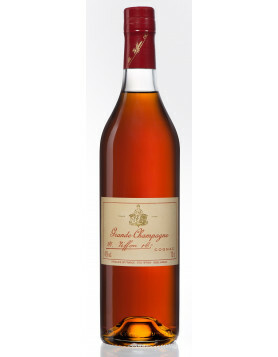 The relatively strong palate makes the Cognac good for mixing. See this video where Ludacris presents his product, introducing his new friends etc. Crus: Grande Champagne, Petite Champagne & Borderies. Listen to this radio show where Kim Birkedal Hartmann talks about Cognac culture in France, in the US and how he turned from a ‘neat’ drinker into a ‘mix’ drinker. It’s quite a smart move to collaborate on such a project and one wonders why other Rappers like Snoop Dogg or Busta Rhymes haven’t had the same idea before. Ludacris and his Norwegian partners now ‘hit’ the promo tour, did some parties. In other words: They are doing the whole marketing process – and it seems to work. Conjure already became quite an established drink in two US states. Let’s see where this is going. Yak! Ludacris visited for the first time last January and spent a week working with Birkedal Hartmann’s master blender, Philippe Braastad Tiffon. “I wanted to learn as much as possible,” said Bridges. “It was great. It gave me a new appreciation for cognac.” Tiffon and Bridges used more than 40 different brandies to create a product that reflects the taste and personality of Bridges – and hopefully that of their target market. Tiffon, an internationally renowned cellar master who is also in charge of Birkedal Hartmann’s cognac that graces the chambers of the English parliament, likened the experience to the artistry of a master perfumer creating a custom scent. +++ UPDATE +++ Ludacris announces Conjure’s new strategy. As the success of the spirit is greater than one perhaps could have expected (US resellers are out of stock) – Birkedal and the Rapper now go for the national market. Really interesting to watch what happens next. The Conjure Iced Tea is his cognac mixed with ice tea while the Conjureversy is Conjure mixed with Red Bull. +++ UPDATE 2 +++ Cognac Expert was told that the eaux-de-vie used for Conjure actually comes from Tiffon-Braastad. 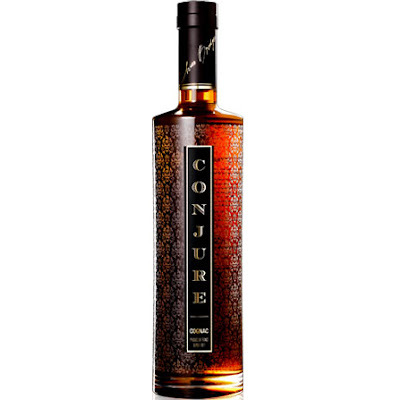 And: Conjure Cognac won the bronze medal at the Spirits Competition 2010 in San Francisco, see here. And another video of Ludacris promoting the Cognac in the US.